For the ninth year running, the eBridge team will be heading to HostingCon. eBridge President Hartland Ross will be joined by Search Engine Strategist Frank Siano. HostingCon 2014 is being held in Miami, FLA from June 16-18. Meet Hartland and Frank during the event at booth 717. Stop by to chat about internet marketing, or just to say hi. Is acquisition or organic growth best for your hosting business? This question will be tackled during the expert panel Hartland is participating in entitled “Build or Buy? How to grow your small to mid-sized hosting business.” The session will look at growth in this industry, considering risks, costs and other factors that would be of interest to a business owner or manager considering these two approaches. Hartland will be joining other industry experts including Jamie Opalchuk, CEO of HostPapa Inc., Arvand Sabetian, Founder and CEO of Arvixe LLC and moderated by Frank Stiff, President of Cheval Capital. For a little background on this topic and to understand better the history of the hosting space and why this topic is so important, check out Hartland’s post over on the HostingCon blog. The session will be run on Tuesday, June 17th from 10:00 – 10:45am. Be sure to stop by the SpamExperts booth to enter their sweepstakes. We are sponsors for this contest, offering $800 worth of internet marketing services as part of the prize, which includes the Premium Service Provider Package plus a GoPRO Hero 3+ camera. 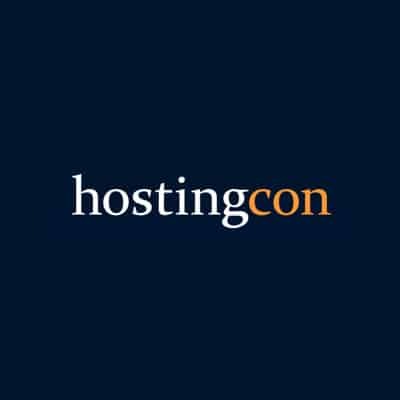 We look forward to HostingCon every year – there’s always so much to learn and so many colleagues to catch up with. If you’re going, we hope to see you there!